WHO: Anthrax, Killswitch Engage, The Devil Wears Prada and Jasta. WHEN: 7 p.m. March 29. WHERE: The Wellmont Theater, 5 Seymour St., Montclair; 973-783-9500 or thewellmonttheater.com. HOW MUCH: $32.50 to $99 (includes VIP package). It’s a great time to be in Anthrax. The New York thrash metal pioneers are touring to promote a critically-acclaimed album, just released a box set and unveiled their own craft beer, and recently recorded a concert for a DVD celebrating the 30th anniversary of their breakthrough album. Anthrax performs on March 29 in Montclair supporting “For All Kings,” their 11th studio effort. The disc was released last year and hit No. 9 on the Billboard Top 200 albums chart. On March 24, the “For All Kings 7-Inch Box Set” was released. Three days later the first cans of Anthrax’s “Wardance” pale ale hit the shelves of New York State liquor stores, including in Rockland County. For a list of stores, visit wardancepaleale.wordpress.com. There are plans to make the beer available in Northern New Jersey soon. In addition, last month Anthrax recorded a special show in Scotland during which the band played their third album, “Among the Living” (1987), in its entirety. The DVD is scheduled for release later this year. “We always give it our all for our fans,” said Bello, who with guitarist Scott Ian and drummer Charlie Benante comprises Anthrax’s principle songwriters. The band also includes singer Joey Belladonna and guitarist Jonathan Donais. “From a fan’s perspective, we thought, ‘what are some things you would want from the band you really dig?’ Bello said. The “For All Kings 7-Inch Box Set” features 10, 7-inch vinyl discs comprising the entire album; instrumental demo versions of most of the songs; a track previously available only in Japan; and two new cover songs. The collection also includes download cards that allow fans to access the songs digitally. 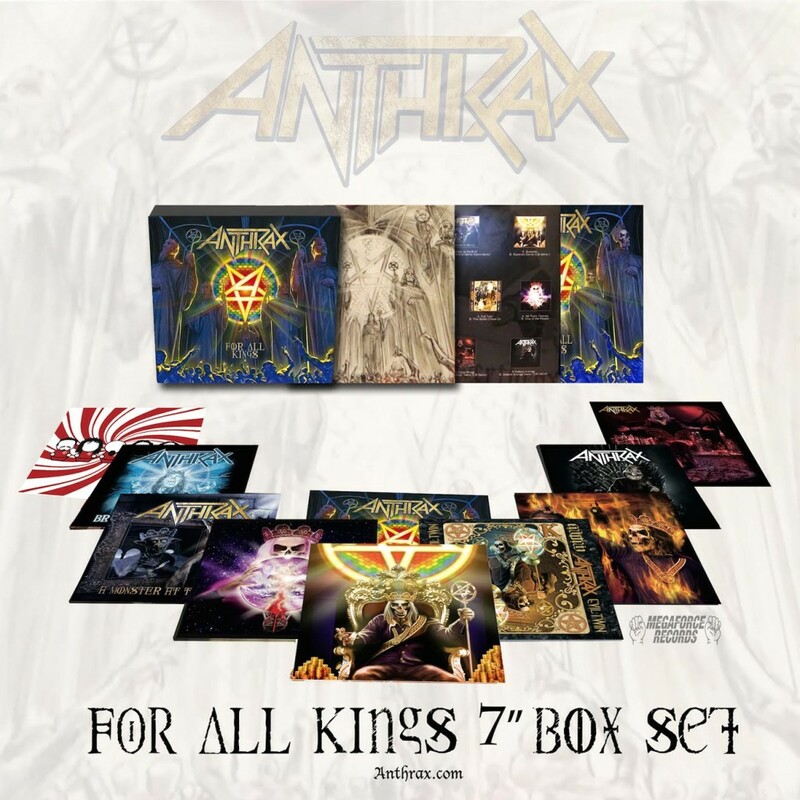 The box set’s exquisite artwork features a skeleton king character and the Anthrax Not Man mascot that embody the cover of each vinyl disc in different incarnations. Anthrax’s superb, metalized versions of the Kansas classic rocker “Carry On Wayward Son” and the White Stripes’ punky “Black Math” exhibit the band’s varied tastes. The seeds for Wardance were sown last year while the band were at the New York West Village bar Daddy-O and mentioned to owner Phil Casacelli how they’d love to have their own brand of beer. 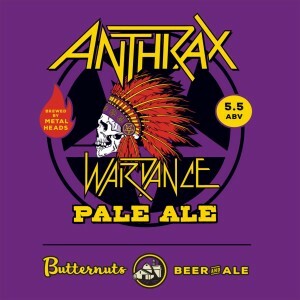 Casacelli contacted upstate New York’s Butternuts Beer & Ale Brewery, run by longtime Anthrax fan Chuck Williamson. The latter immediately went to work creating the brew. Ian formed Anthrax in 1981 and Benante came onboard in 1983. The band released their pioneering debut album, “Fistful of Metal,” in 1984. Anthrax were the East Coast thrash progenitors and are known as one of the Big Four of thrash metal, along with California cohorts Metallica, Megadeth and Slayer.